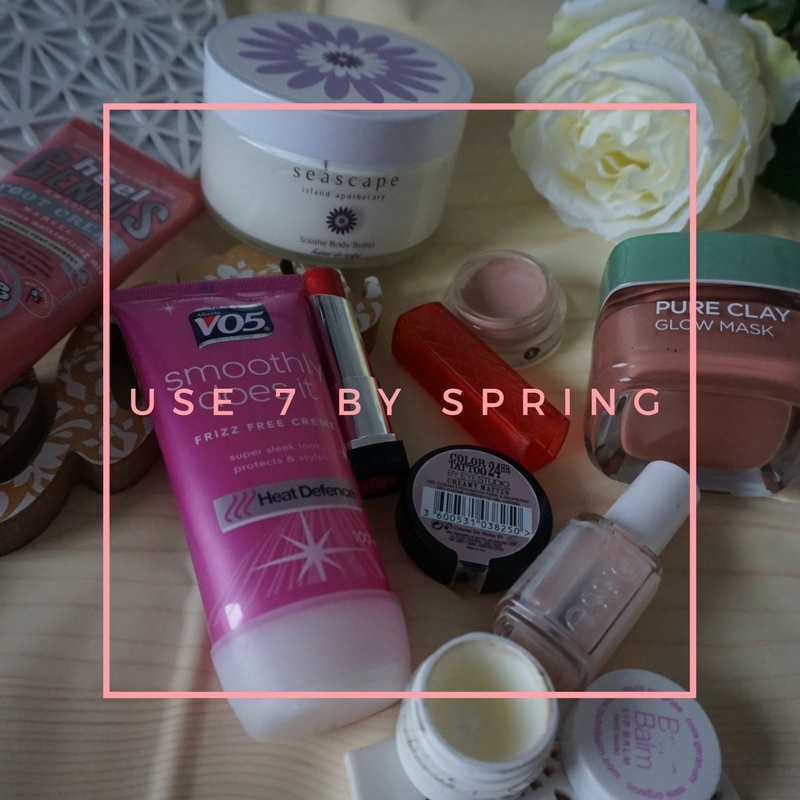 The official start of Spring 2017 is 20th March and I’ve picked out 7 products I want to make a good dent in by then. I have decided not to do a use 17 in 2017 year-long project pan as it was bloody hard work last year if I’m being honest and while I did well on my use 16 in 2016 I got confused, I tailed off towards the end of the year and felt pressure to do something. 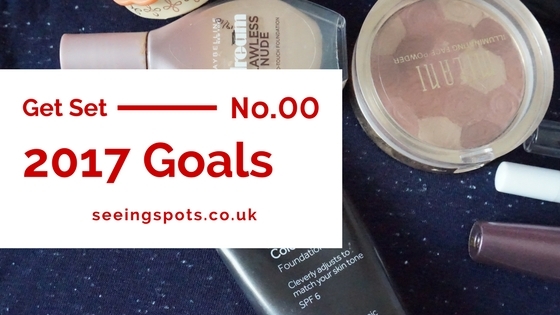 This year I’m planning to do around 4 smaller project pans, focusing on a smaller number of items and they will be more beauty than makeup based. 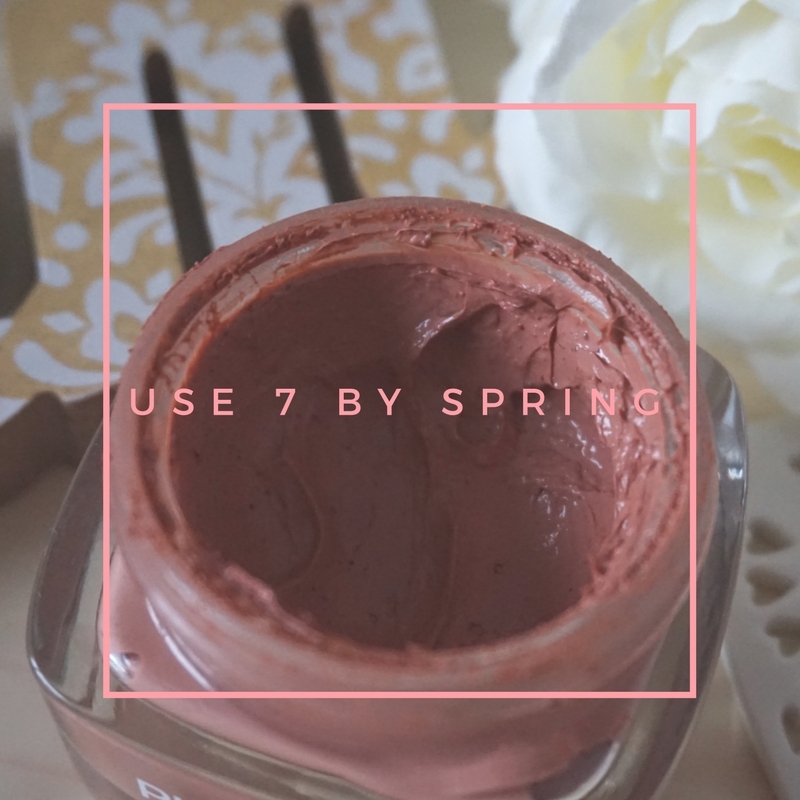 I’ve picked out seven items to try and use by Spring. This might not be a traditional project pan as I’m not aiming to finish the items. If I do, then great. If I don’t it’s not the end of the world. If I don’t use the product at all the I need to look at why. I have learnt a lot about myself from Panning over the last two years and I think for me at least panning isn’t about using every scrap of product but about getting good value from a product, working out what works. Letting go of products that aren’t working. 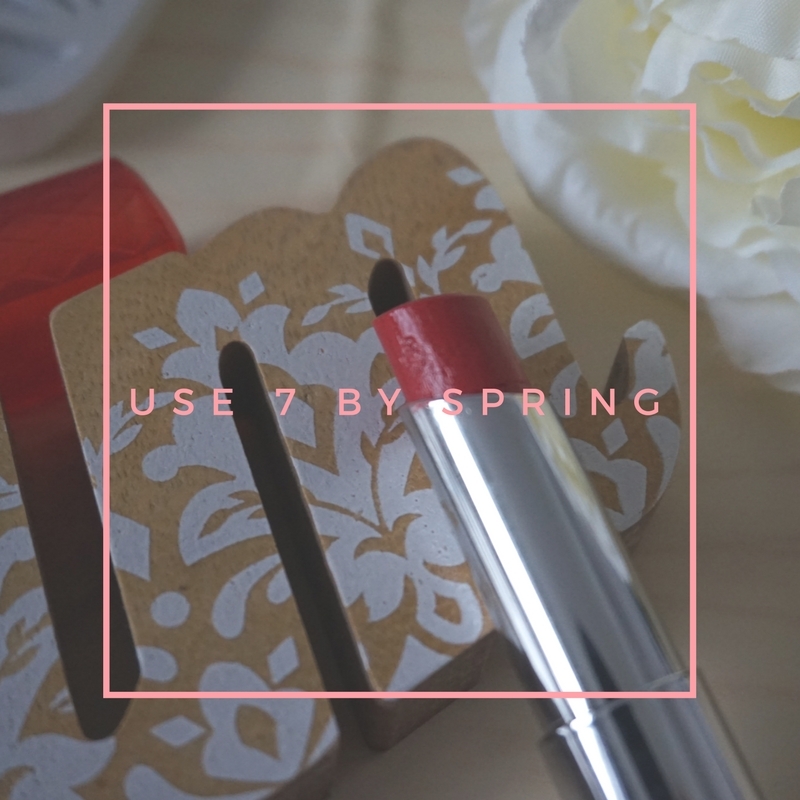 It’s often not about lowering the number of products I own, but making sure I use products up. In 2017 I want to try and do more of a makeup rotation, especially of products that are open. In 2016 I managed to stop opening new mascara’s until it was time to use them. Helping to keep them “fresh” and I decluttered a lot of products. I’m hoping this will continue in 2017. 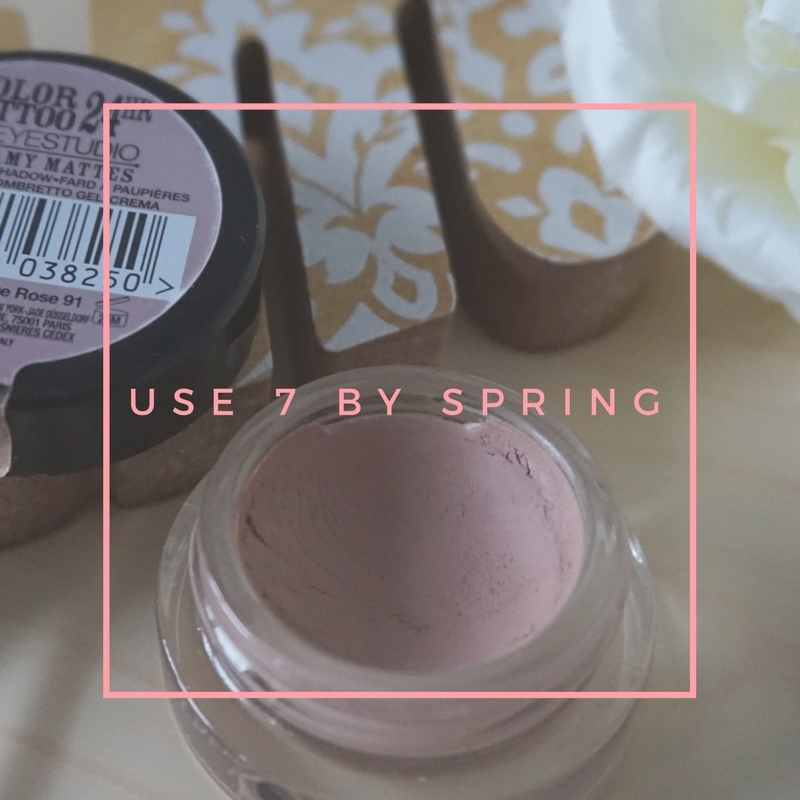 For the first of my panning challenges I’ve picked out 7 items I want to use. I like these products (I think) and I want to use them before they go off. Seascape – Soothe Body Butter RRP of approx. £20.00 for 175ml. A full and unopened item. This came from a beauty box last year and smells of lavender. It will be lovely after a bath, before bed. I’ve fallen in to a terrible sleep pattern, combined with nightmares, so I am optimistic this might relax me and sweeten my dreams. 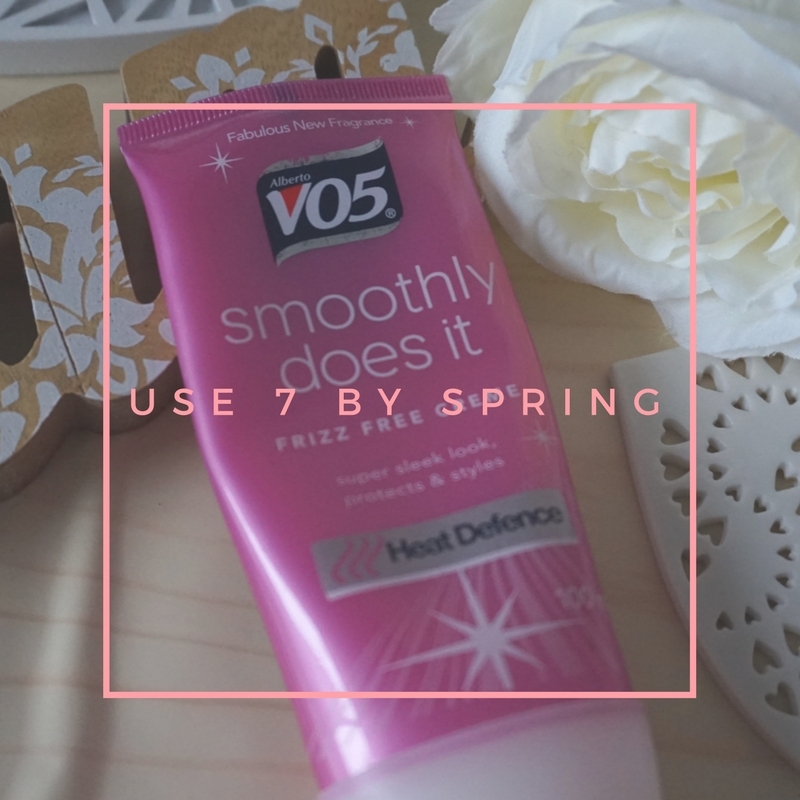 V05 – Smoothly Does It RRP Approx. £4.00 for 100ml. I’ve used this periodically since I bought it and do like it, however I can’t seem to use it consistently. By including it in this project I should get myself into a habit of using it and if not it has to go. 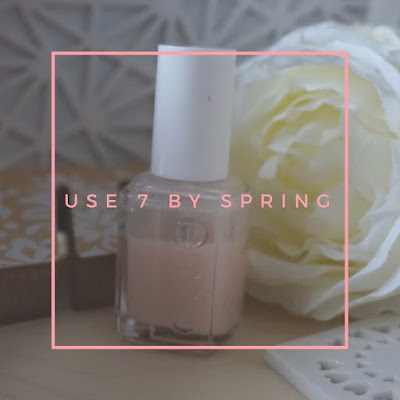 Essie – Grow Stronger RRP £8.99 for 13.5ml. 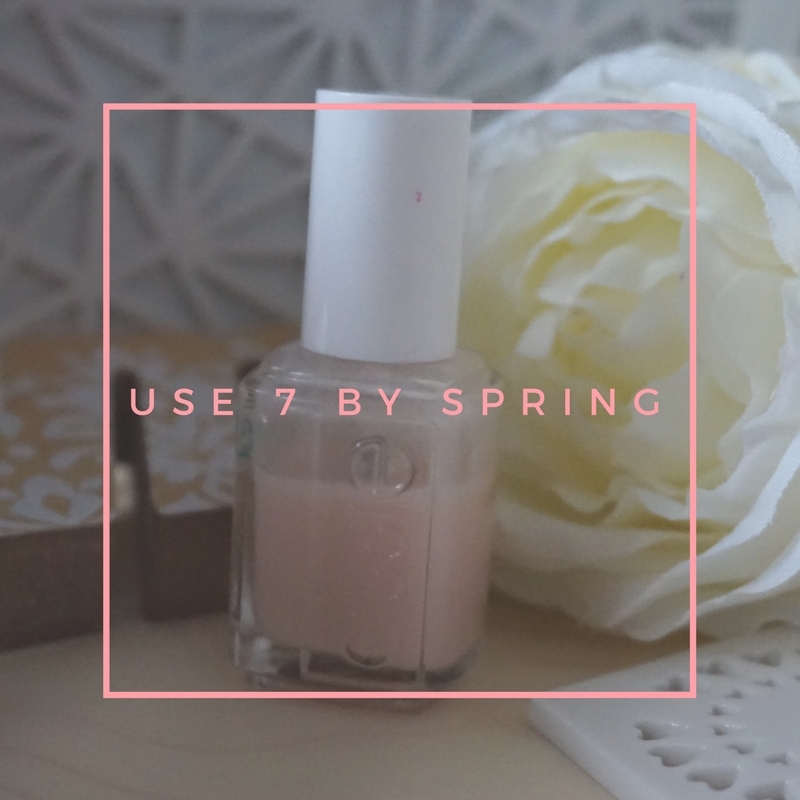 I bought this when I last attempted to grow my nails and loved the product but I don’t do my nails very often and usually forget to use it. I’ve recently bought the Sensationail kit from boots and I’m determined to use this for a few days between changing gel colours. Revlon – Lip Butter 035 Candy Apple RRP £7.99 for 2.55g. This was the only item I considered not finished from my Use 16 in 2016. It’s one of those products I want to finish to have a sense of achievement but I do really like it so I’m happy to still have it in my makeup collection. L’Oréal – Pure Clay Glow Mask RRP £7.99 for 50ml. 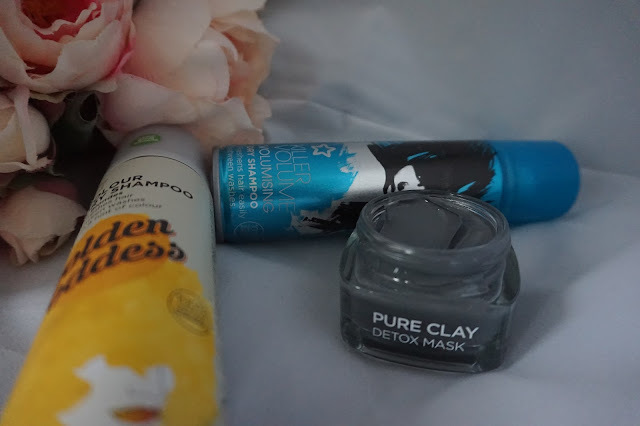 I love a good face mask but other than individual sachets or sample sizes I don’t think I’ve ever completely used one up. I have bought all three of the masks from this range and this is the one I like the least. It’s not the product itself. It’s a perfectly nice mask but it’s more of an exfoliator as it’s gritty. That isn’t what I want from a mask. I’m also annoyed by this as the first time I opened it I dropped the safety seal cap on my bed and it has stained. It could have happened with any of them but it annoyed me and I have taken umbrage with it. 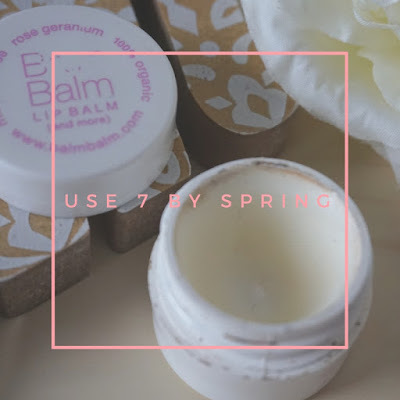 Balm Balm – Lip Balm RRP £5.50 7ml. Another beauty box find and I do like this product despite it being rose & geranium scented. These are my least favourite scents and together they do me no flavours. I have use a large amount of this as it isn’t as over powering as I first expected. It is also a multipurpose balm and I have been using it on my elbows which are extremely dry at all times. Maybelline – Colour Tattoo in Crème de Rose RRP £4.99 for x g. I have decided to have this product as a year-long panning challenge item. I love this product but it is drying up. I often forget about it. It would be a shame to have to get rid of it because it’s gone bad before I’ve got my monies worth so I’m adding this on as a bonus item. In future challenges this might be one of the items or I might decide to keep it as a standalone item but I don’t think it will warrant its own blog post updates. Are you planning any panning challenges? Let me know I’d love to read or watch your panning posts. How do we think I will get on? 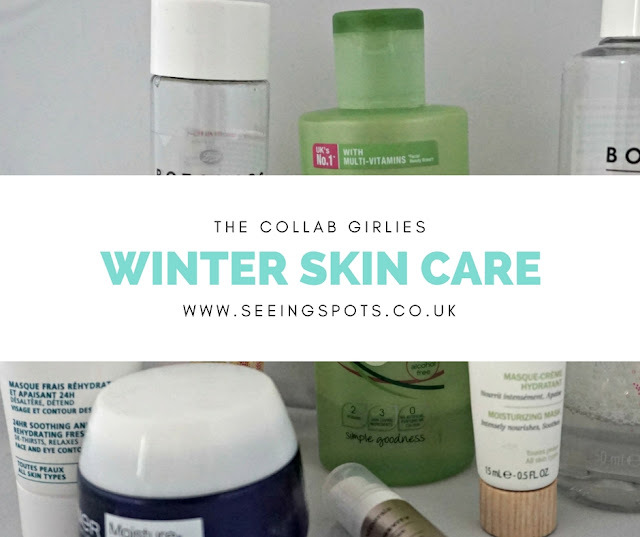 It’s time for another Collob Girlies YouTube video and this month we’re talking about out Winter Skin Care Routine and I thought I’d share with my blog readers as well. In the past I didn’t feel like I changed my skin care routine between the seasons but I think I naturally change things round when I feel like my skin needs a change. 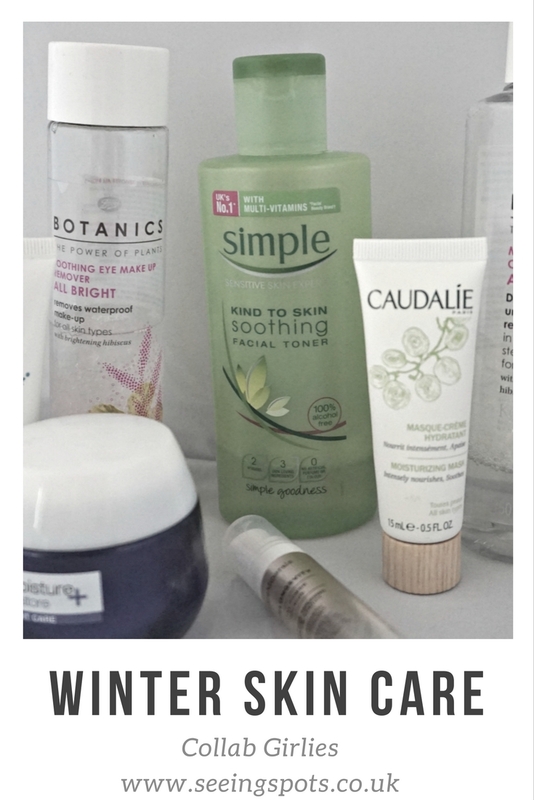 The main area I change is my moisturisers and the use of a serum. 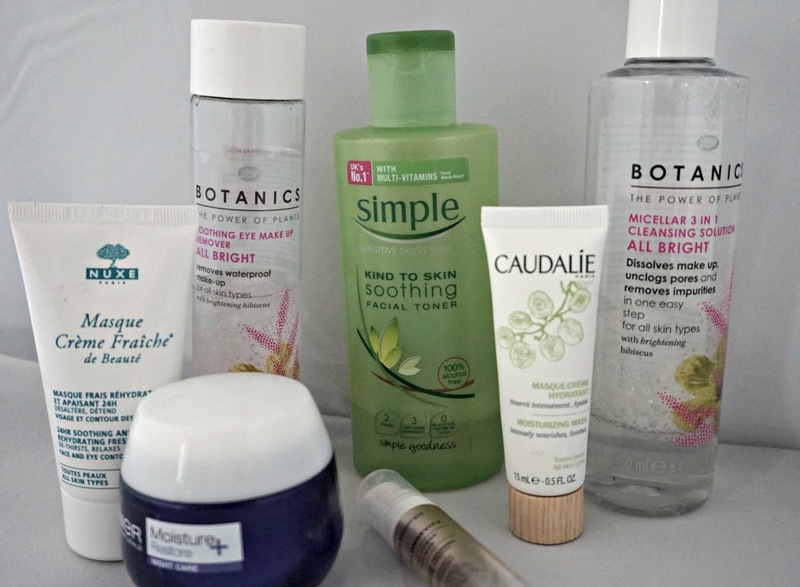 The cleaners, toners and eye makeup removers tend to be very similar all year round. One this I have noticed is I haven’t been using a liquid face wash as much as I did in summer. A couple of reasons for this include. I don’t enjoy using the ones I have in the bathroom now and I haven’t got around to putting another one in there and I feel like I’m happier using the below products. Botanics Soothing Eye Makeup Remover – I’ve been using this dual phase cleansers for a few months and I find it works well. It’s quite oily but that really helps to remove all my eye makeup in a short space of time. This is one of Boot’s own brands and is almost always on offer. I’ve used a few of the two-phase eye makeup removers and this is one of my favourites. Botanics 3 in 1 micellar cleansing solution – Again I’ve used this for quite a while and like the eye makeup remover it is a repeat purchase. It feels gentle and I find it does make my face feel clean. Simple Kind to Skin Soothing Facial Toner – Gentle by name and nature. This almost feels as gentler than the micellar water. As you can see I’ve used most of it but I don’t think I would buy it again as I feel like I want something with a little more oomph to tone my face. Bare Minerals Skin Longevity Serum – This is a new product to me and I got it in my last Love Me Beauty delivery and I’m in love. I’m considering buying a full size of this however at an RRP of £45 (A lot of places have it for around £36) it’s a big outlay for this budget loving girl. Garnier Moisture Restore Plus – This is a night moisturiser which I use every night except for when I use the moisture masks. 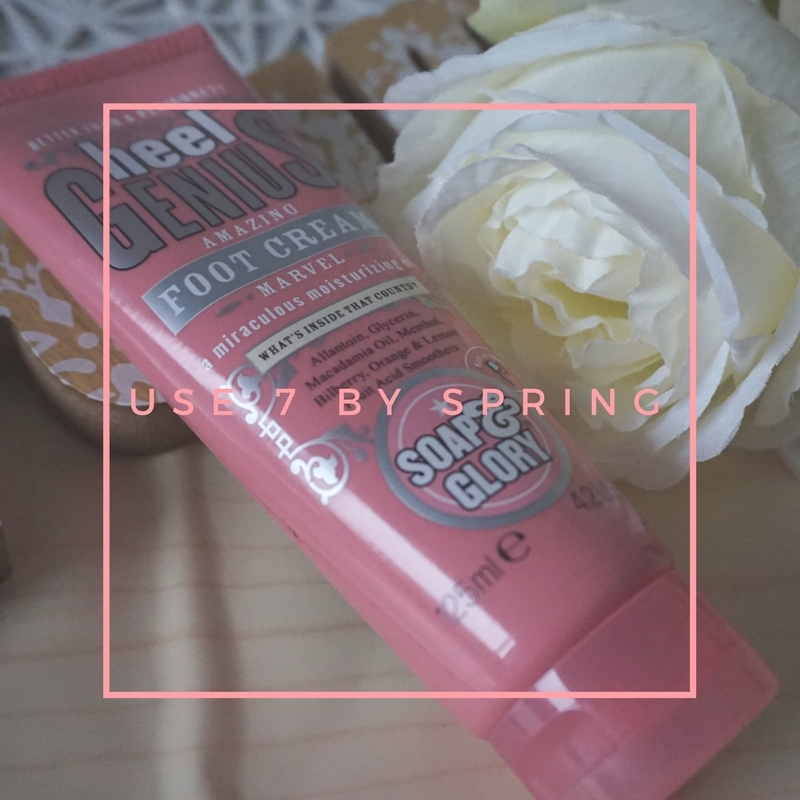 It has a gel consistency and my skin seems to really like it. It doesn’t sting or burn like some cream can (never a good thing) I also make my skin feel hydrated in the morning and I often skin a day time moisturiser but on days when I do need some I use this as well as it seems to be a lot lighter than other night moisturisers that I have tried. Nuxe Masque Creme Fraiche de Beaute – I think this might be my product of the year for 2016. 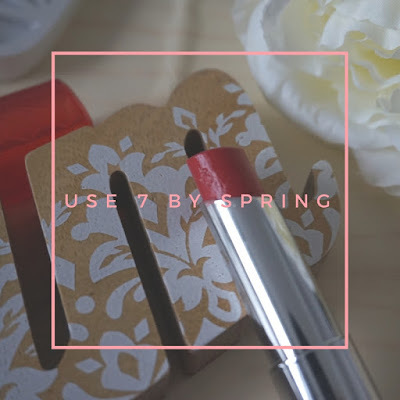 I have had three of these and while it has an RRP of £18.50 I’ve been lucky enough to get each of them in beauty boxes or as a free-gift when buying a beauty box. I have considered buying this but when I did go to buy it I got emails about the beauty boxes. The directions for this is to put a thick layer on and after 10 minutes’ rub in the excess. With my skin, it has almost always fully soaked in after the time and now I tend to put a thick layer on before bed. Sometime it leaves a residue but a quick swipe over with toner removes this and my skin always feels amazing the day after. In winter, I use this once or twice a week. The rest of the year I use it once a fortnight or as I feel I need a bit of extra moisture. Caudalie Masque Hydratant – I wanted to mention this as it’s something I’ve only been using for a couple of weeks after I received it in my Love Me Beauty box and it’s amazing. It might even replace my Nuxe Masque obsession. 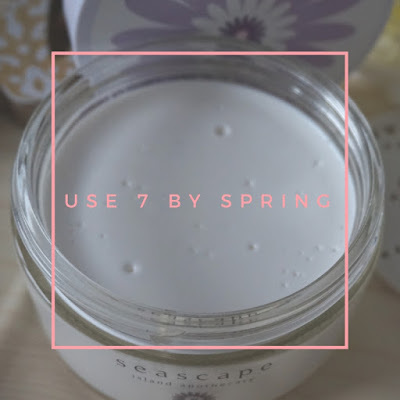 It is slightly more expensive at £22 and it is the same concept as the Nuxe mask but the cream is slightly thicker and my skin is feeling the best it’s ever been. I had to give it a mention. I’m almost out of the sample and I have almost a full Nuxe mask left so I won’t be rushing out to purchase it just yet and I do feel like I want another sample size to test and make sure I do really love it. For a while, I’ve been thinking about reintroducing favourites posts, however I can never decide what I’ve liked in a month. I’m often a little bit miserable as well. 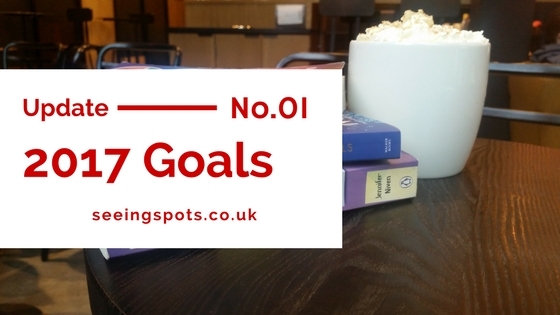 Taking inspiration from a few other bloggers, who do favourites, weekly goal updates, things that have made them happy I’ve decided to start talking about things that have made me smile. The first thing that has made me smile is a little indulgent. 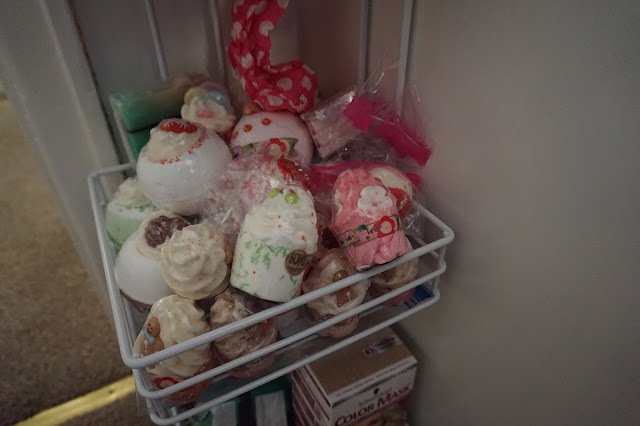 Bomb Cosmetics Bath Bombs. I’ve gathered all the ones I have and I have amassed quite a stash. This made me smile as now I know I have quite a few. (thank you, secret Santa, and January sales) I have been using them. Hot baths also make me smile but we’ll count that as one thing. New Socks. Sometimes it’s the small things in life that bring great joy. 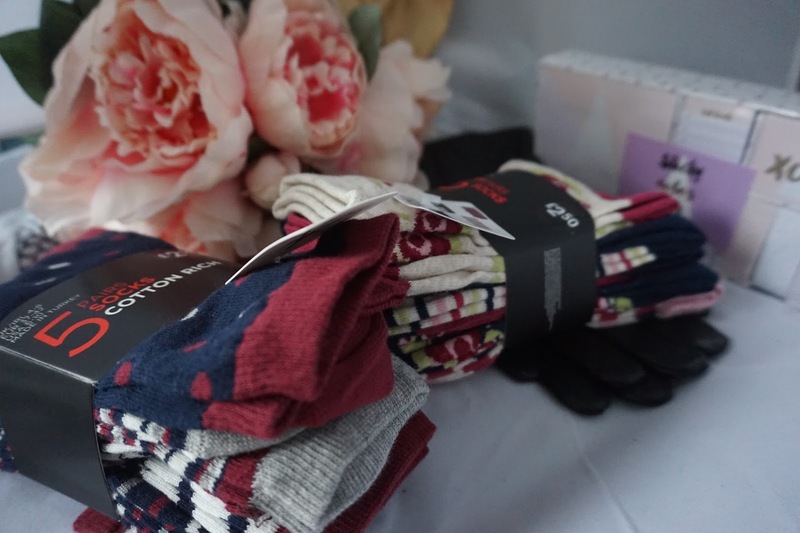 I’ve been buying new socks as I’ve realised how bad some of my existing pairs are. Time for a clear out. One thing I really don’t like is pictures of myself. I don’t like phone selfies. I rarely like pictures other people take but something my blogging friend Leah has mentioned is that Selfies are not selfish. As January 1st rolled round there was a huge number of people posting comparison pictures on Instagram and I trawled back through my IG account to find a January selfie and I couldn’t find one. I found a couple of bad mirror selfies from April. I looked through friend’s accounts as I’d been away in January and I could only find a group picture and I wanted to cry at the picture. Luckily FB Memories came to the rescue on January 2nd and threw up selfie number one 2016. Since then I have been trying to take selfies. I’m not good at them on my phone and I’m hoping my new phone (Still to be ordered) will have a decent front facing camera. I have been “cheating” and using my proper camera to take a selfie on a Sunday morning. I like the pictures so far and I’m aiming to post a few of these on my Instagram account. So far, I have been posting them on my second IG account. I am also trying to smile in them so technically they have made me smile in two ways. Getting a Wedding invite. I’ve been invited to a colleagues wedding reception in May and getting the invite has put a huge smile on my face. The invite is beautiful and I wasn’t expecting the invite. I know she has a lot of friends and family to invite. I’ve booked a room at the venue and ask my friend Nat to save the date as we are always each other’s Plus 1 at weddings and christenings. A slightly random smile raising moment was finding out that the next Chinese year is the Rooster. I was born in the year of the Rooster and I feel like it’s a sign 2017 will be great. I don’t usually believe in signs but I must have some faith in good luck omens and I always say good morning to magpies. In 2016 I wrote 116 blog post – I’ve just had a quick scan through then and I honestly don’t remember writing half of them! Last year flew by and I seemed to have blacked out most of the year. 2016 was a bit of a mixed year. Politically well I guess the less said the better. Personally, not much has changed. I have technically got a new job but other than that everything else is the same. 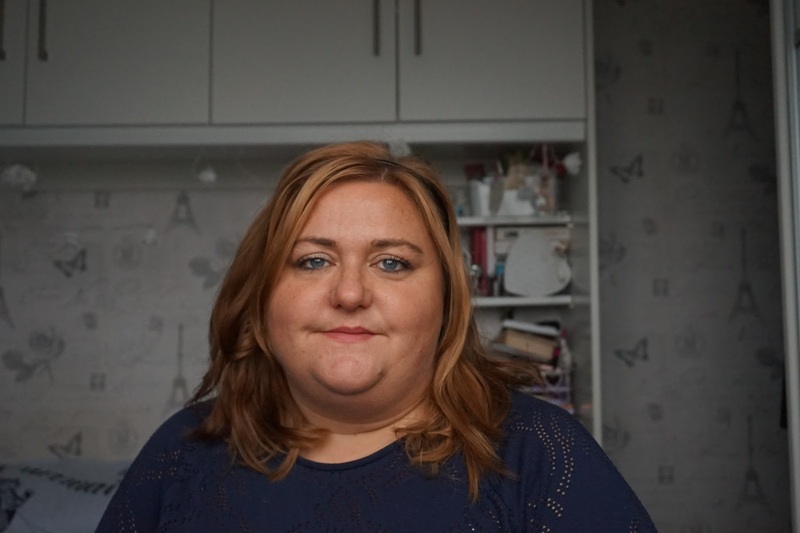 Blog wise I’m feeling a lot happier and more confident that I did this time last year. There were a few times when I thought about closing this blog down. 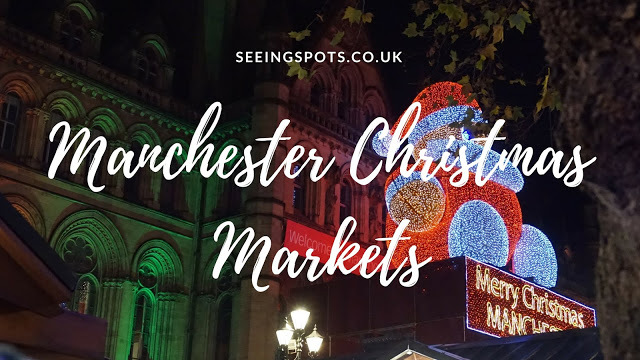 I also thought of changing the name but after talking it out with other bloggers I decided Seeing Spots is here to stay. I’d say a few of my highlight but there are quite a lot which I think Is a good thing! New yearweekend in Liverpool I started the New year in Liverpool with my mum. We booked ourselves into a hotel and went shopping, ate in Spoons had a not so cheeky Nandos and despite Illness had a lovely weekend away. I had ablogging life wobble I’m not sure if this is a highlight but I’ve decided to include my wobble. I get like this every now and again. I have bad paranoia and last year it was bad. To the point, I let it rule a lot of things and in hindsight it was paranoia and I really don’t care what the people I thought were being snide to me were or not. I’m living my life. I think if I’m doing anything bad people will call me out on it. This year I’m going to do what I need to do. I am compartmentalising my life to an extent but feel like it’s going to work for me. 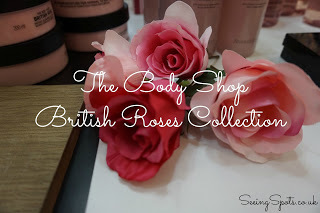 I did get to a few events including Body shop event which was to celebrate the launch of the British Roses Collection. 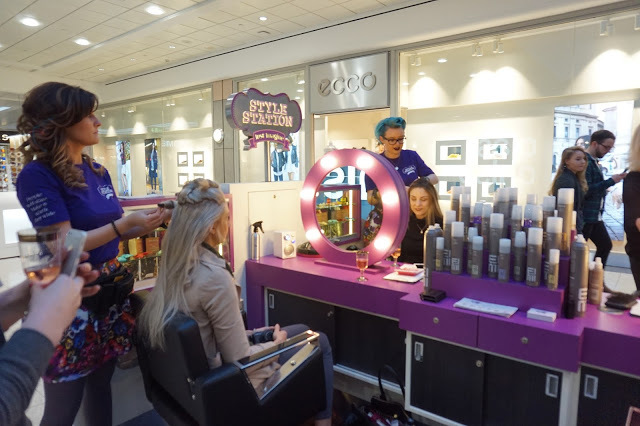 The Stylestation event which is in the Arndale and it’s a place to get your hair done before a night out. 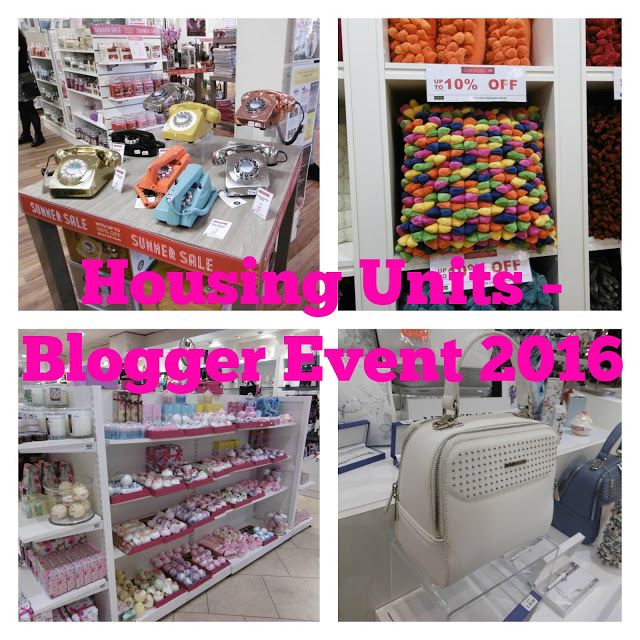 There was also a summer event at Housing units blogger event I love going to Housing units, it always feels like a treat and this even was a little different as the store was closed to the public. There were some paid for events as well. 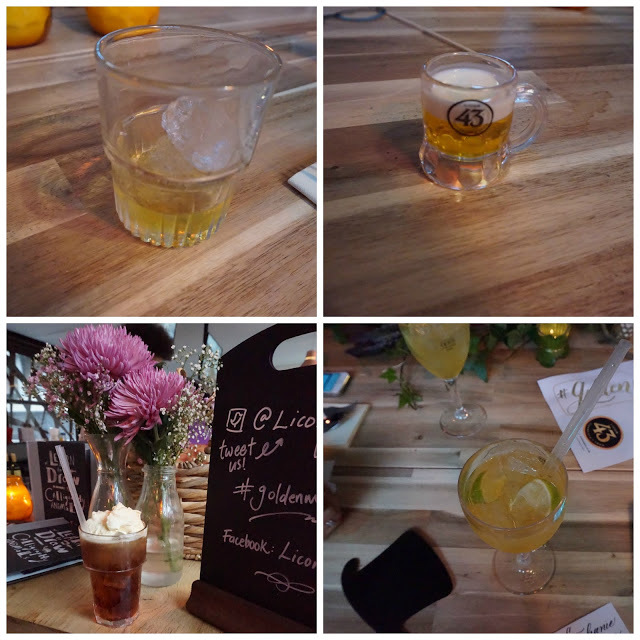 Including Press tent spring meet, which was a meal, brush lettering and lots of Licor 43 based drinks. There was also TCFF 2016 (CREDIT https://wearingmywardrobein2016.wordpress.com/ FOR PHOTO)Which I attended in place of my friend Kelly who was too ill to attend. Its amazing to spend time with so many amazing bloggers. This wasn't even all of us. 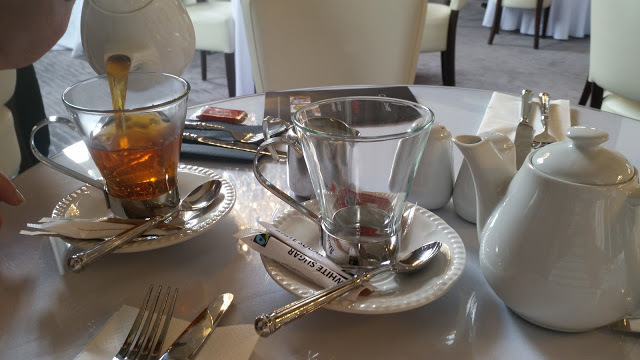 2016 did have a few other highlights including afternoon tea. I went a couple of times but the one that stood out for me was the Clock tower Rochdale this is inside Rochdale town hall and wouldn’t look out of place in a 5 star hotel. 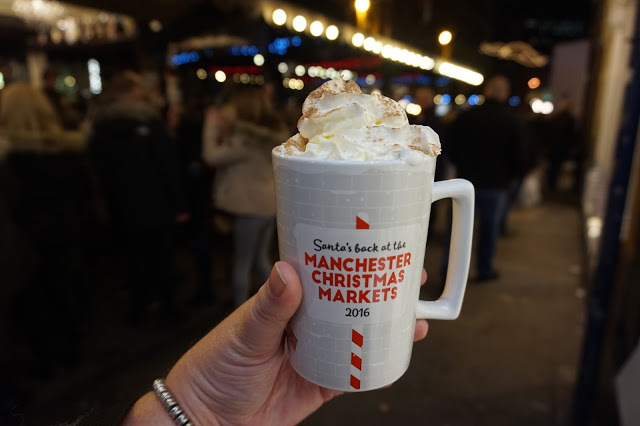 They are only open during the week but if you’re in the area it’s well worth a visit. Unsurprisingly I had another birthday. I think I turned 35 but don’t quote me on that. I often have to ask someone or work it out on a calculator! 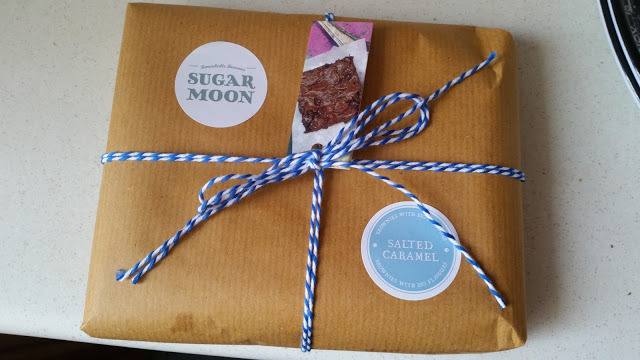 What was a surprise was my lovely friend Rebs sent me Sugarmoon birthday surprise brownies through the post. These were Salted caramel flavour and extremely delicious. I liked them so much I ordered some Chocolate orange ones for my mum the week later. Its always nice to get snail mail but it’s even nicer when it’s unexpected and tastes so delicious. 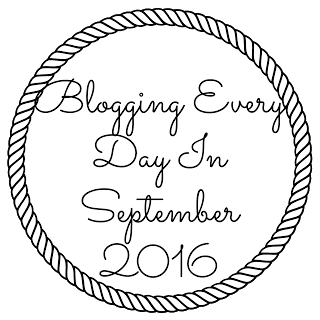 When It got to August and I released I hadn’t done one post in July at all I set myself the challenge to Blog everyday in September which I did manage and I’m really pleased about. Some of the posts were fluff and nonsense and everything was written well in advance apart from a few posts. This helped me to see what can be done when I get organised and it also made me realise it will be easier to concentrate on posting less but better quality content that I’ve worked hard on. I find when I read blogs they are often very short and don’t always have a lot of detail where as I like to tell you everything (and use brackets)(A LOT) I tell you more than you need to know and may be I need to do shorter snapper posts. I’m aiming to blog twice a week in 2017. Improve the quality of my photo’s and make sure things are edited and are pinbable as well as including tags on photos which is something I neglect a lot. I am also hoping to be organised so I can get ahead so I have time to do all the fiddly things we don’t see on the surface. 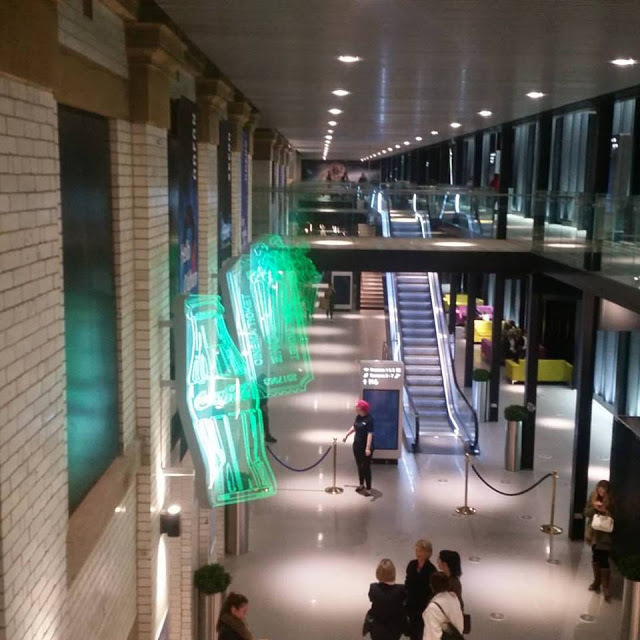 One of the other highlights of my year was getting a New cinema in my local town centre. We’ve been out one for a good 10 year and it’s so good to have one that is handy. I’ve been to see a few films and I’m thinking about buying one of the monthly pass cards so I can go and see more films. 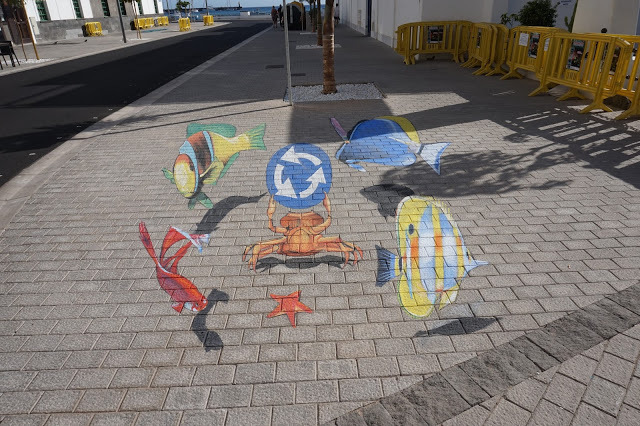 In the middle of December I visited Gran Canaria with my mum for a week. GC is another place I love but we hadn’t been for around 10 years, I’m so glad we went back and I have rekindled my loive of the island. I want to go back again soon. Over all I don’t think 2016 was bad at all. It had some trials and a few spots of ill health for friends and family members. A few too many A&E visits and a lot of high stress moments but looking back through these posts there were some bloody lovely parts as well. How was your 2016? Let me know in the comments. Also if you've enjoyed this post why not Stumble this post.